Carolyn Yeager and Hadding Scott discuss Henry Ford’s famous trial in 1927, his formal so-called “statement of apology,” and its effect on his long-term influence as an anti-Jewish voice. Today, The International Jew can be read on the Internet and bought in bookstores, so Henry Ford seems to have won. 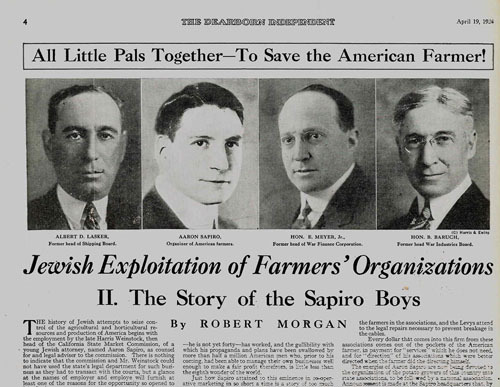 Click Image to enlarge: The Dearborn Independent's April 19, 1924 investigative reporting on Aaron Sapiro and "pals" organizing of farmers -- calling it Jewish exploitation. Left to right: Albert D. Lasker, Sapiro, Eugene Meyer Jr, Bernard Baruch. Note: We have been using the Noontide Press publication of The International Jew — The World’s Foremost Problem which can be found online here as a pdf file. The FINAL CHAPTER of The International Jew is not only a reminder of the unity of Jews (which is the basis of their strength) vs. the disunity of “Gentiles,” but also an exhortation to the “superior strain” of the non-Jewish races to liberate itself from the influence of Jewish Orientalism. The solution at this stage is to disengage from, to eschew the poisonous ideas and entertainments that Jewry offers to us. Image: In approximately 930 B.C.E., the short-lived United Monarchy, which ruled over all the tribes of Israel, was divided into two kingdoms: Israel in the north, led by Jeroboam son of Nebat, and Judea in the South, led by Rehoboam the son of Solomon. Note: We are using the Noontide Press publication of The International Jew — The World’s Foremost Problem which can be found online here as a pdf file. 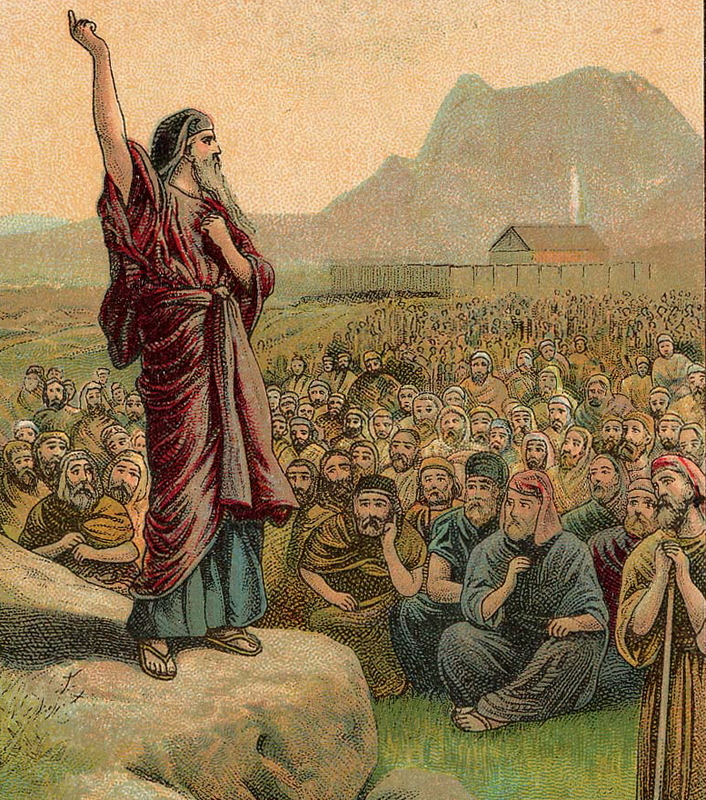 No success can be had by the Jew except upon the basic law given to Moses–the “most perfect social system ever devised”–and directly contrary to the modern Jew’s ideas. Click image to enlarge: Moses pleading with "Israel." "The International Jew" also asks for a Jewish prophet to rise and lead Jews to reform themselves. Image: Self-portrait of Bert Levy holding his sketchpad. At bottom is written, "As Bert Levy sees himself, from the NY Morning Telegraph. “The strength of Jewish money is in its internationalism.” So opens this chapter describing, once again, the world chain of financial institutions TIJ calls the Jewish World Banking System. It is not the size of the individual banks that count, but their (Jewish) connections that count. The Protocols of Zion are used to explain economic and political developments in Europe and the U.S. from the 1890′s to the present (1921). In general, he was leader in the movement to force the Jew by law into places where he is not wanted, in essence destroying the concept of private property. 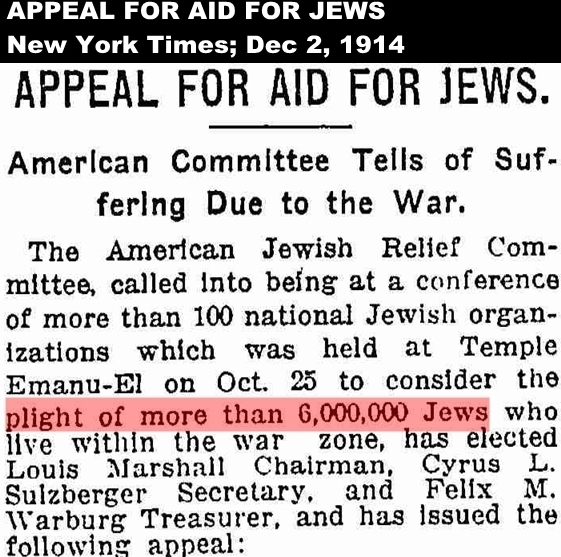 (Click on image to enlarge) Louis Marshall leads the appeal to help Jews "in the war zone." The intolerant and violent nature of Jews has manifested throughout history–from John Hyrcanus in 120 B.C. who fought the Syrians and Idumeans, to the Pharisees who fought against their own King Alexander, to the constant bloody attacks on Christians whenever Jews got the chance. Even at that time, the mixed loyalties of diaspora Jews with regard to a Jewish state in Palestine was seen and discussed as problematic. Click on Image to enlarge: A Red Army soldier putting bayonet through a kulak after having done so to a priest, banker and king. 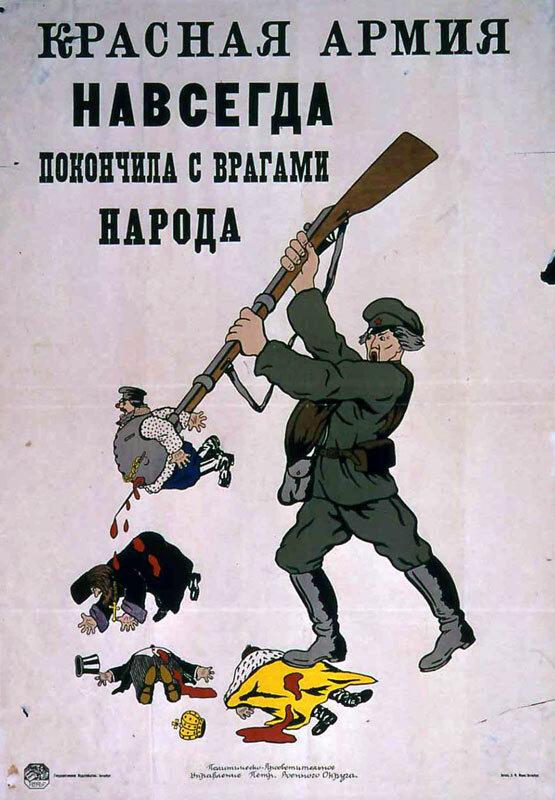 1921 poster published by the Political-Educational Administration of the Petrograd Military District. In the end, the Jewish committee managed to equate the Jewish Question with the Irish Question and have them both banned from the lecture circuit. Image: Albert Einstein and Chaim Weizmann of World Zionist Organization in 1921. It was made a misdemeanor in New York to have a legal process served on a Jew on a Saturday, even if unintentional. Image: The exact sign that was commonly seen on middle America store and shop doors on Sunday in the Nineteen Fifties, before the Jews succeeded in dismantling our ”day of rest.” It started in New York City in the 1920′s.